Sure, it has monsters. But the astounding beauty and diversity of the landscape around the west central midsection of Wisconsin is as remarkable as the wide range of unknown creatures that seem to inhabit it. 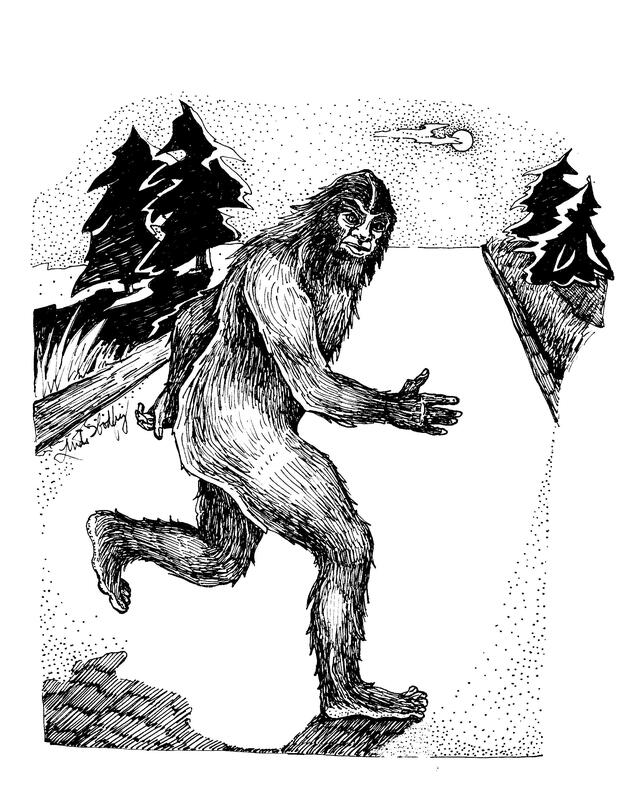 My previous post focused on the hairless creature legend of Hillsboro; the two accounts I’ll highlight here are located slightly west of that area, near Tomah and Westby. Both cases are especially apropos to summer road trip time, since the creatures involved seemed to home in on the witness’s cars! 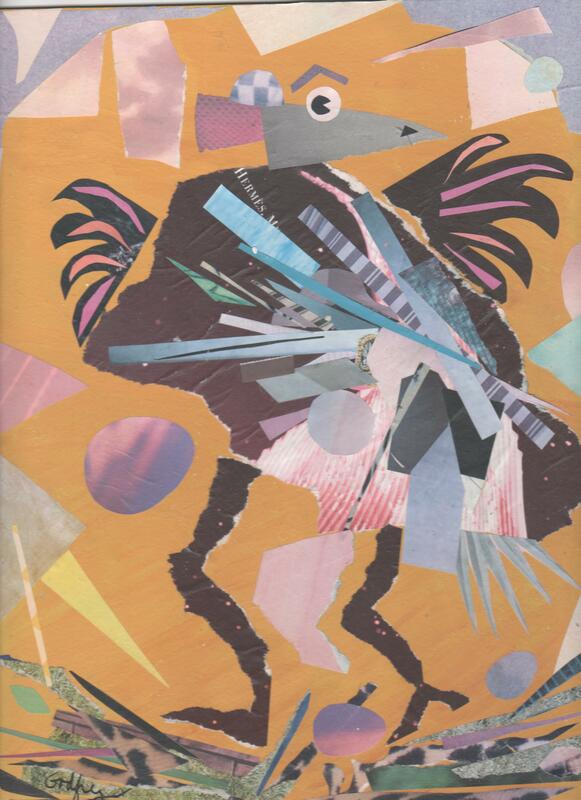 The “Big Bird of Tomah” was spotted by a now-retired, male medical worker driving south on his way from Black River Falls to Tomah one morning around 1999-2000. He was nearing the north side of Tomah on US Rte. 12 when something large and black swooped across his windshield–it was a black, feathered bird with a body he described as about six feet long, and a wing span he estimated at twelve feet. He said it was close enough that he was able to look it in the eyes as it passed him. He did not recognize the species. Luckily, the bird kept going, and so did the man. He told some co-workers but as usually happens in these cases, was disbelieved. 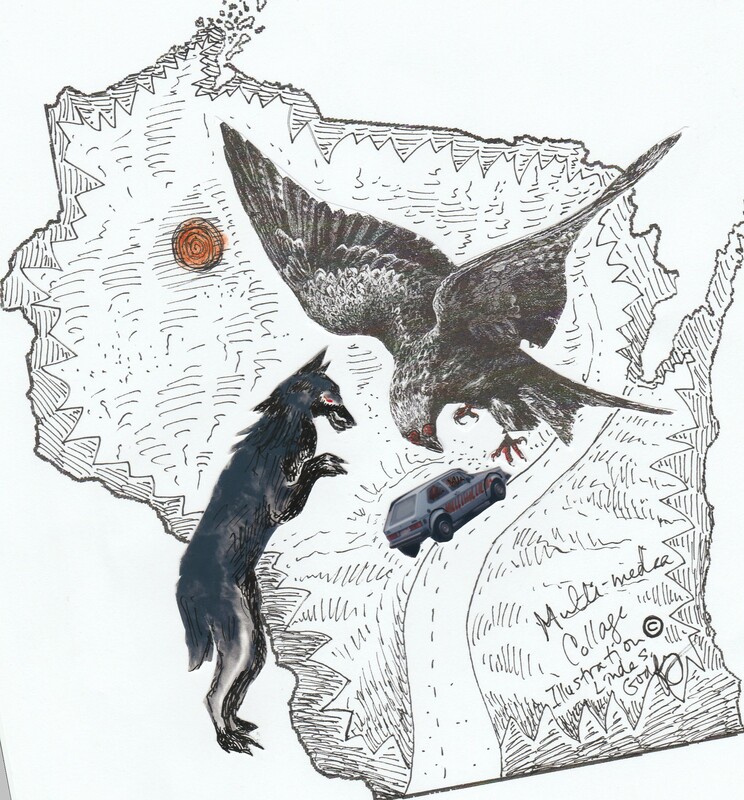 Just for comparison, that side of the state is also known for the sightings of a giant, stork-like bird near Hayward, the Man-Bat of La Crosse, and a flying Lizard Man seen by a state patrol officer and a group of construction workers near Medford. I also have a report of a man-sized bird seen standing on a bridge near Neillsville, on or near Ho Chunk land. “I saw a wolf figure that ran and stood on two legs, but it would have been in 1990 or 1991. It was outside of Westby, Wi on County Road P around 4:30 to 5:00 in the morning. I think it was in the spring of the year. I was on my way to work. It ran from the side of the road and charged into the driver’s side door of my car. Thankfully the window was up. I saw his face clearly. I stepped on the gas. It scared me. “Although the whole thing happened so quickly, it was early in the morning and still dark outside. It had a wolf face. It was on two legs. It did not look like a costume. It was taller than the car I was driving. I would guess it to be maybe 6 ft tall. It had black fur, maybe dark gray. Where it came from on the side of the road, there was a bridge and a trout stream. It did not dent my car. Trust me, I looked. When it charged the car it hit hard.